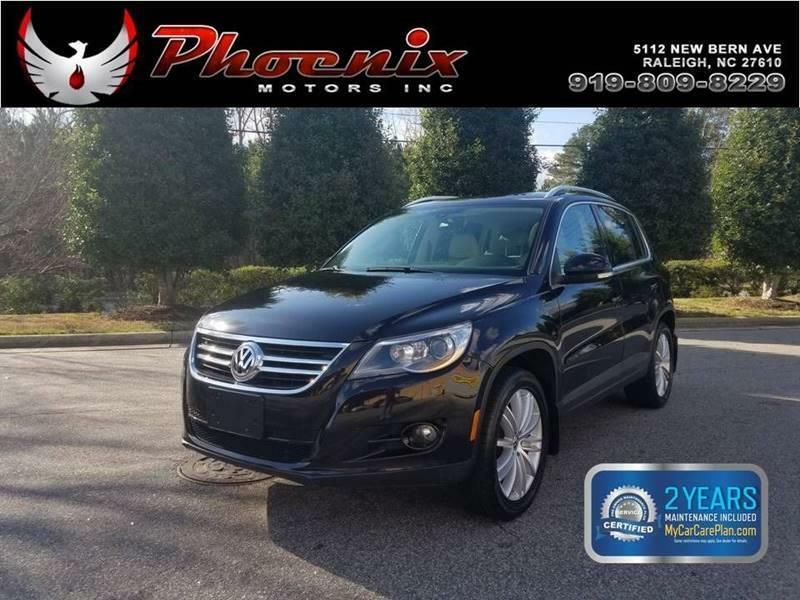 I would like to learn more about this 2010 Volkswagen Tiguan SEL 4dr SUV 6A. Please contact me as soon as possible! The Volkswagen Tiguan is a compact SUV designed to offer carlike ride and handling. Tiguans 2.0-liter turbocharged four-cylinder engine is shared with the sporty Volkswagen GTI, and its more powerful than the engines offered in most compact SUVs. The Tiguan has ready power for everyday needs and worry-free passing. Fuel economy is average for the class, which is better than most SUVs, but not as good as your average car. Tiguan S comes with cloth upholstery, air conditioning, eight-way manually adjustable front seats with lumbar adjustment, fold-flat front passenger seat, cruise control, AM/FM/CD stereo with eight speakers, auxiliary audio input jack, 60/40 split folding rear seat, and P215/65R16 tires on alloy wheels. Safety features include dual front airbags, front side airbags, curtain side airbags, active front head restraints, tire-pressure monitor, anti-lock brakes with electronic brakeforce distribution and brake assist, traction control, and electronic stability control.